Small businesses typically keep a sharp focus on cost control and cash conservation, which is good. However, when it comes to the decision to buy new PCs or maintain older ones, many small businesses falsely believe it’s financially advantageous to maintain older PCs rather than replace them. 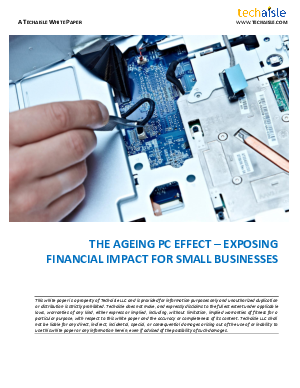 Download this report today to learn the true direct and indirect costs of maintaining and upgrading older PCs in your small business.